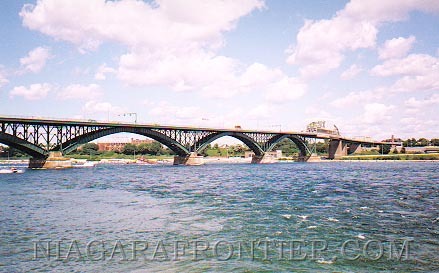 How long has this whole Peace Bridge redo taken so far? I believe the current talk for the a bridge replacement or companion span started in 1996 or 1997! Well, after a thorough review, The Federal Highway Administration (FHWA) determined that the height of the towers on the original design might have an unacceptable impact on migratory birds and the protected Common Tern. At least the plan is to still start construction by 2009.